I first got into endurance sports as a runner in high-school. I didn’t especially show any early promise, but just really enjoyed training, having fun with my teammates, and getting better as a result of consistent training. Over the years, I got more and more into exercise physiology and nutrition, and learned how to train better. 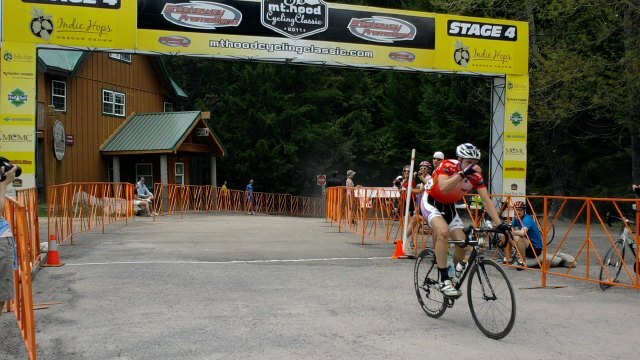 I didn’t start racing bikes until just after I graduated from UC Berkeley in 2007. At that point, I had an idea that I had some promise as a cyclist, but didn’t know how good I could get. Over the first year from when I started racing, I had upgraded to Cat 1 and was looking to do progressively more challenging races and trying to learn how to train and race more effectively while working full time at my local bike shop… After a few years of continued physical development and learning how to race better, I raced professionally for a few years. Over the years, I’ve been so grateful to have been able to reach such a high level and achieve some very respectable results, like 5th at the US Pro TT (behind Zabriskie, Tejay, Bookwalter, and Zirbel) or 14th in the Tour of California or winning many of the most classic NorCal races at some point in my career, as well as having a bunch of fun along the way. Over the years, I’ve learned a lot about what it takes to be a successful athlete, a lot about training, recovery, nutrition, psychology, and also about life and how much sport and physical activity can enhance our experience of life. Whether my clients are world class athletes trying to win national championships, trying to get their category upgrades and do well at local races, or just trying to get the most out of a busy schedule as they balance work, family, and training, I love working with my clients in an effort to help them achieve their goals and have a better life experience through their participation in sport, no matter what level they’re at or what their goals are. I love working with clients to improve their performance, just as I love working with clients to help them feel empowered about their physical activities and helping them take the guesswork out of how to try to get the most out of a tight schedule. All of it comes down to getting more out of life.